The backbone of ISKCON is the unsung heroes, those devotees who dedicate their lives to Krishna’s service with no recognition or material gain in return. And now one of those heroes desperately needs your help. Yamaraja Dasa joined ISKCON in 1971 and took initiation from Srila Prabhupada. Then in 1975, he took on the service of designing and laying out Prabhupada’s beloved Back to Godhead magazine. For the next forty-two years, day in and day out, Yamaraja quietly performed this service, through all kinds of austerities and personal sacrifices. He never married, and has remained a brahmachari to this day, selflessly giving his entire life to Prabhupada’s mission. 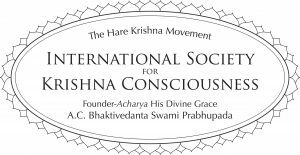 Countless people all over the world were attracted by his beautiful presentations of BTG’s Krishna conscious message and became devotees as a result. Many have stories of how they received BTG on the street or even found a discarded copy and were so affected that it changed their lives. Prison inmates have turned their lives of crime around by reading Back to Godhead in their cells. Yamaraja’s contribution to all this – his expert layouts that capture the eye – cannot be underestimated. Now, at 69 years old, Yamaraja Prabhu is suffering from multiple myeloma cancer, considered one of the most deadly forms of the disease. He has battled it for the past ten years, keeping it under control through a strict diet and other treatments. Recently, however, the cancer has returned. He is currently undergoing a treatment that is supposed to kill the cancerous “daughter cells,” but which does not get rid of the cancer in the stem cells. Once this treatment stops working (as all others have), there will be no conventional medicine option left but stem-cell replacement, which is drastic and very risky, and Yamaraja doesn’t want to do it. At that point (which he’ll reach in a matter of weeks), the conventional doctors’ only remaining solution will be to put him on heavy painkilling drugs while the cancer spreads, creating painful lesions in every muscle. But Yama, as he’s affectionately known, prefers instead to pursue an alternative treatment at a cancer treatment center in Mexico, while he still has the energy to travel. This center will use a natural integrative approach to build up his immune system. Going there is Yama’s last wish and holds much hope for him. As a brahmachari, Yama has little facility to pay for such treatment. 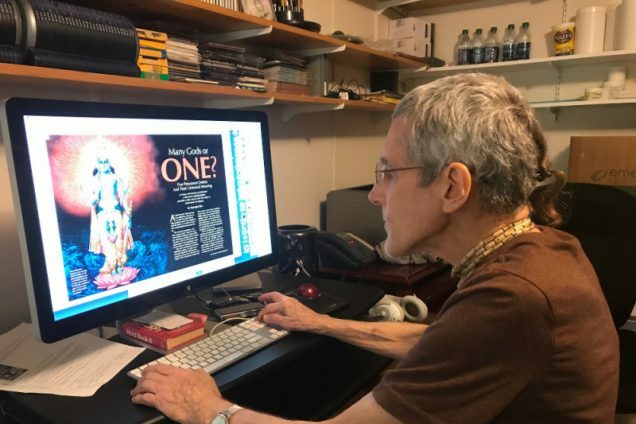 Back to Godhead magazine, which has already been subsidizing Yama’s treatment for the past ten years, will contribute some of the funds, and we’ll need your help to raise the remaining $60,000 here on Gofundme. If, for some reason, Yamaraja Prabhu is unable to travel anymore because of his deteriorating health by the time the funds are raised, they will be used to care for him at a local health care facility near his home in Alachua, Florida. We will post updates to keep you informed of his progress. We beg you to please give now, from your heart, for this quiet hero who has given his whole life to serve Krishna and the devotees. Time is of the essence. I, the person overseeing the GoFundMe page, am Nagaraja Dasa (Norman Comtois), the editor of Back to Godhead (BTG) magazine. I’m an American citizen born in the USA. I live in Alachua, Florida. 3. What is your relationship to the parties you’re raising funds for? Yamaraja Prabhu and I live and work together at the BTG offices located on the ISKCON of Alachua property (New Raman Reti). We’ve been working together since 1986. 4. How will the funds will be used? They will be used for his medical care at an alternative cancer treatment center in Mexico, as well as for ongoing expenses after he leaves that center and returns home to follow the protocal they recommend. 4. If you intend to withdraw the money, how you plan to send the funds to the party you’re raising money for or use the money on his behalf? The funds will be kept in a Back to Godhead bank account in Alachua and will be given to him at his request. The main expense will be his stay in Mexico. After an initial consultation there, if he agrees to put himself under the center’s care, the money will be wired there.